ADC Orange County announces Gabriel San Román from the OC Weekly as the 2016 Truth in Media award recipient. Gabriel San Román is an award-winning multimedia journalist from Anaheim, California. 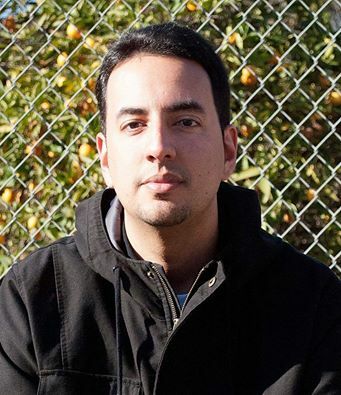 He worked as co-producer on the daily drive time Uprising morning show on KPFK Pacifica Radio and produced numerous segments about Middle Eastern politics and Arab-American culture. In print, he’s written about Anaheim’s Little Arabia countless times and wrote a 2015 OC Weekly cover story about the assassination of Alex Odeh upon its 30th anniversary. San Román has been a tireless voice against anti-Arab discrimination and Islamophobia. He began authoring articles for the Orange County Weekly in 2006 and has since become a Staff Writer. The Alex Odeh Memorial Banquet is on Sunday, October 23rd. Please see the attached flyer for more details. Tickets are available at http://www.adc.org. Deadline to purchase reduced price tickets is October 21. After this deadline, tickets will be available for $125 at the door.